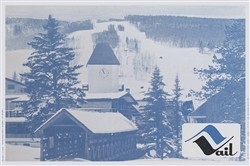 Beautiful image of couple on chairlift, relaxing in the alpine. 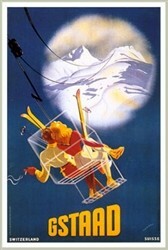 This poster shows the true romance that skiing in the early days portrayed. 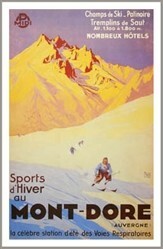 Today some believe that skiing is all about being EXTREME.